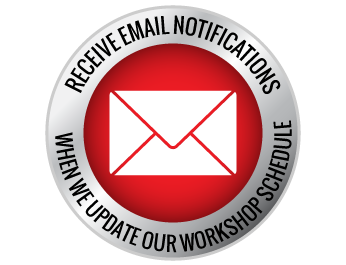 our workshop schedule. Your privacy and email address are safe with us! Peggy Chiu offers coaching services to assist companies, executives and individuals in achieving their business and personal goals. She also offers workshops throughout Australia, with offices in Perth and Melbourne to better serve you. Peggy specialises in coaching medical practitioners, specialists and health professionals, small to medium size enterprise business owners, entrepreneurs and business start-ups, and individuals preparing for mid-late career and life changes due to her expertise and background. Her extensive experience and qualifications provide a unique perspective into what it takes to become successful in everything you do, starting with an understanding of human behaviour, your own and others’ styles; and interpersonal relationships. She is a fully accredited and highly experienced/qualified professional, executive, business and corporate coach. She also works as a coach mentor, facilitator and trainer. Peggy Chiu is a Certified Professional Behavioural Analyst (CPBA) and a Certified Personal Values Analyst (CPVA), as well as a Licensed Facilitator of Corporate CoachU Coaching Clinic™ and Essential Conversations for Developing Others®. She is also an exclusive distributor of other high-quality international training and assessment programs, such as, “Retirement Options”, “Life Options”, “InnerTalents”, and “Tri-Matrix”. In addition, Peggy designs, conducts and coordinates tailor-made training programs and workshops to the specific and timely needs of groups and organisations. If you seek illumination, inspiration, transition, transformation and astounding outcomes, call Peggy today for an obligation-free meeting. Peggy would be happy to discuss the possibility of working with you as a personal professional coach to yourself, your significant others and business key people and/or your business and organisation. She will also present to you a range of other suitable program services to enhance yours or your team’s skills to assist you achieve the results you want in both your personal and business life. With over 30 years of people, business, executive and leadership development experience and formal training in coaching, Peggy Chiu is a leading expert in this field in Australasia. In 2003 she became the first person in Australia to be awarded status of Master Certified Coach by the International Coach Federation by completing and exceeding credentialing requirements. Peggy is Proprietor and Managing Director of a highly successful Professional, Executive, Business and Corporate Coaching Practice nationally. Register your interest online today! Limited space is available due to small groups format. Download Word registration form or PDF registration form and email it back to peggy@peggychiucoaching.com.